The Employment Fund is a longstanding and highly successful project implemented by Helvetas since 2008. It has pioneered many innovations in vocational skills training, including result-based payments and rigorous targeting of poor and disadvantaged young people, especially women. These are separate projects funded by SDC, DFID, World Bank, SDC Humanitarian Aid, and IFAD . Over the period 2008 - 2015, the Employment Fund provided some 100,000 young people across the country with the opportunity to learn skills corresponding to employer demands. The training institutes at which they learned these skills were paid by results; more money was paid for trainees from disadvantaged backgrounds, and final payment was only made if the trainee was in employment 6 months after completing training. Many other practices were developed to ensure that disadvantaged young people, and especially women, could take advantage of the training offered. A follow-up study showed that 72% of those trained through the project are still employed, whilst 83% reported an improved standard of living following the training. This original project was funded by the Swiss Agency for Development and Cooperation (SDC), the UK Department for International Development (DFID), and the World Bank. 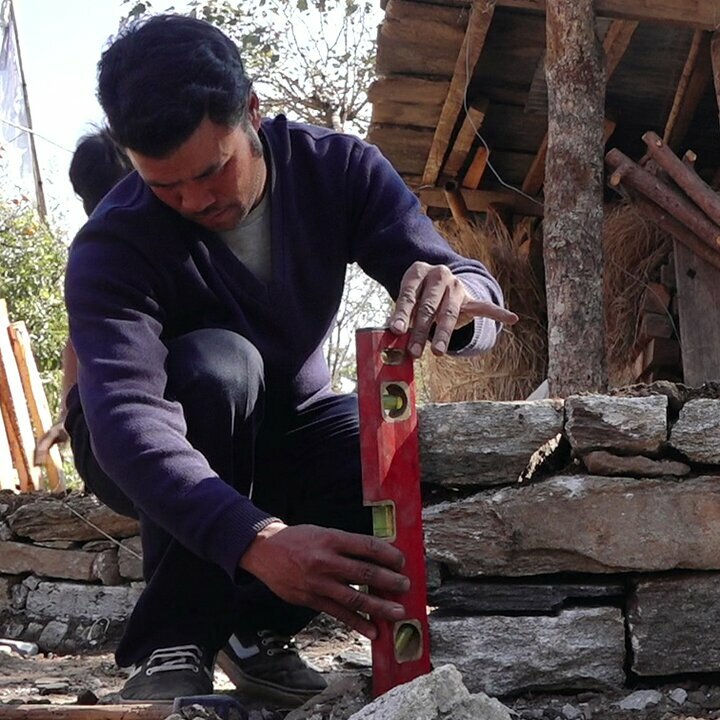 The April 2015 earthquake gave rise to a huge demand for construction workers skilled in earthquake resilient techniques. The Employment Fund responded by developing a 50 – day onsite training module, in which participants worked in groups of five, building the house of one amongst their number. This successful “learning by doing” approach has become the government standard, approved by the National Reconstruction Authority. From 2015 to March 2018, the project trained around 10,844 young people in masonry and carpentry, one third of them being women. 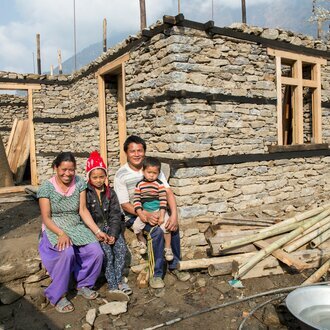 A total of 2,994 houses earthquake resilient houses have been constructed. Participants have not only rebuilt their own houses; they have become skilled construction workers in regular employment. Of all those trained, 84% are now in gainful employment in the construction sector. The project has also piloted training in retrofitting – in which earthquake – damaged buildings are reinforced and made safe. However, it was realised that this training resulted in fewer opportunities for regular employment, as the techniques are complicated and demand the supervision of engineers. Training in reconstruction skills was funded by the Swiss Agency for Development and Cooperation (SDC), and the UK Department for international Development (DFID). 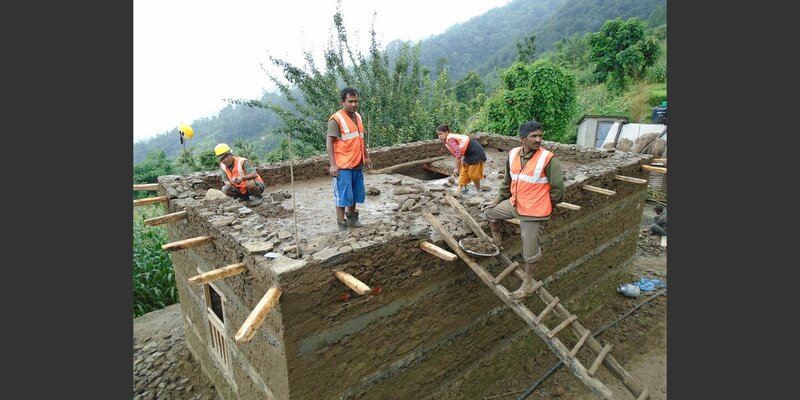 Over 2018 to June 2020, the Employment Fund will continue to provide mason training and technical advice to home owners in areas in which earthquake damage remains high: in Ramechhap, Okhaldhunga and Khotang. This builds on earlier experiences, especially in supporting women to continue working as masons after their training. This project is being supported by the humanitarian wing of the Swiss Agency for Cooperation and Development (SDC). The lessons learned from the Employment Fund are now being used in a project focusing on returnee migrants and migrant family members. The aim is to equip them with skills to work in small enterprises – or to establish such enterprises, using savings made from working abroad. 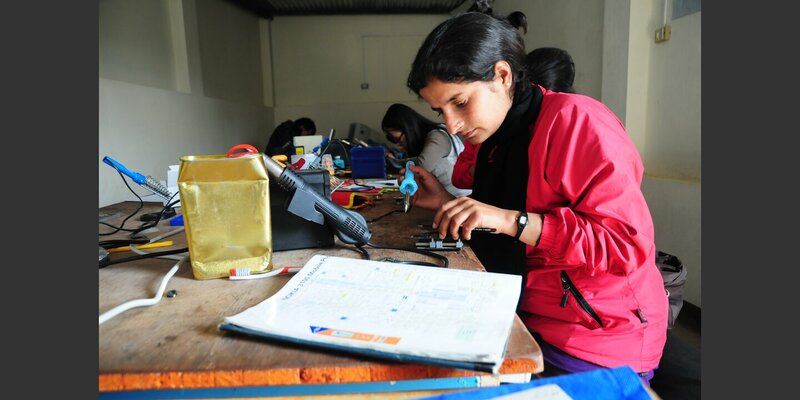 Over January 2018 - 2021, some 30,000 young people – one third of them women – will have the opportunity to take part in vocational skills courses and apprenticeships under the Rural Enterprises and Remittances Project, ‘Samriddhi’. Helvetas is responsible for the overall management and monitoring of this training. Funding for this project is provided through the International Fund for Agricultural Development (IFAD) in partnership with the Ministry of Industry.